Beauty and practicality meet in this functional redesign that transformed a small kitchen and screened-in porch into a spacious, well-lit, modern-day area for meal preparation, cooking and entertaining. 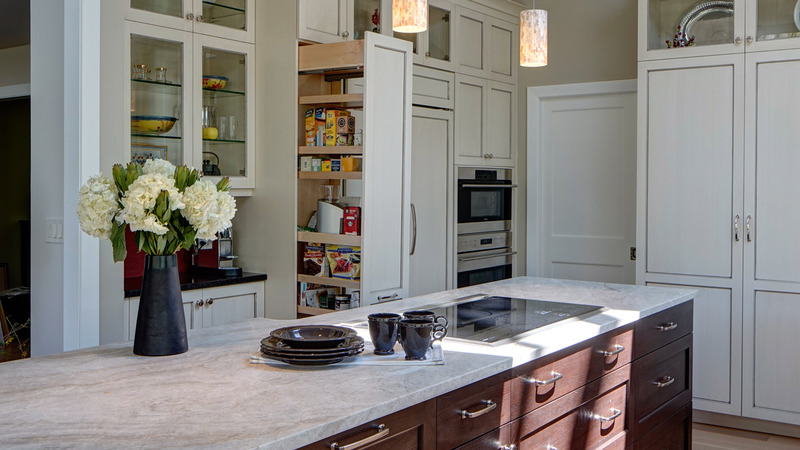 The homeowner shared several goals with designer Janice Teague: How could we make the cooking area as practical as possible? And, how could we improve traffic flow and make for better parties? Integrating the right layout and features was the answer. 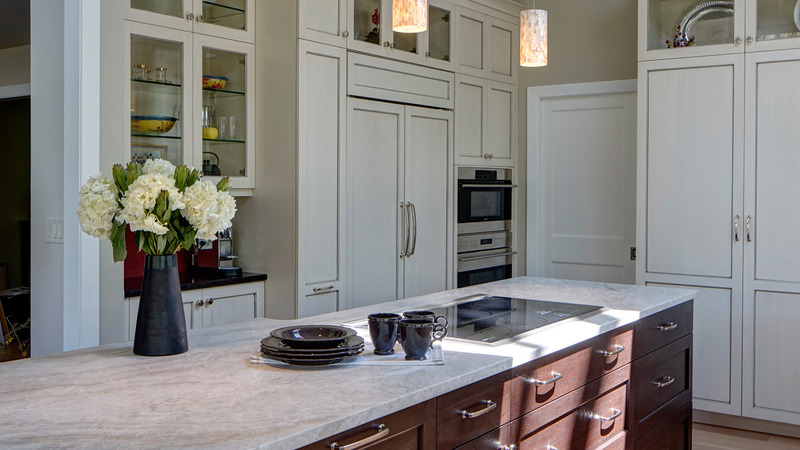 With the new floor plan, the island spans the main kitchen area – including a Wolf induction cooktop with the nearby Sub-zero refrigerator housed behind French doors for easy access. 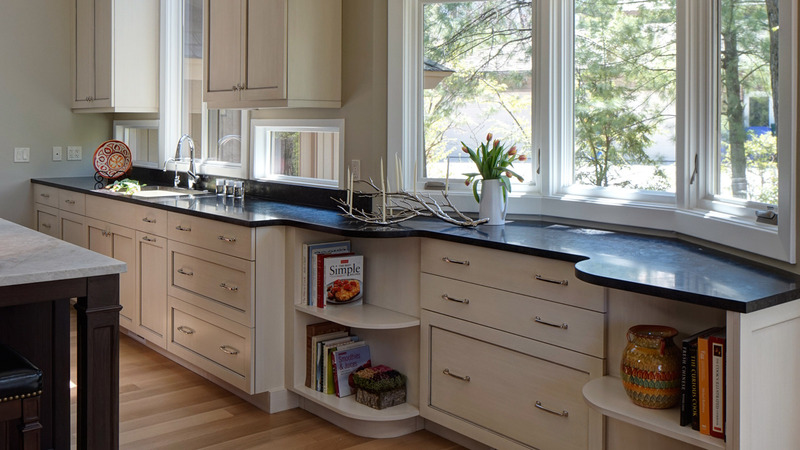 A tall pull-out pantry offers storage for the nearby coffee bar, while the large bay window offers space for desk-related items even as it visually anchors the room.